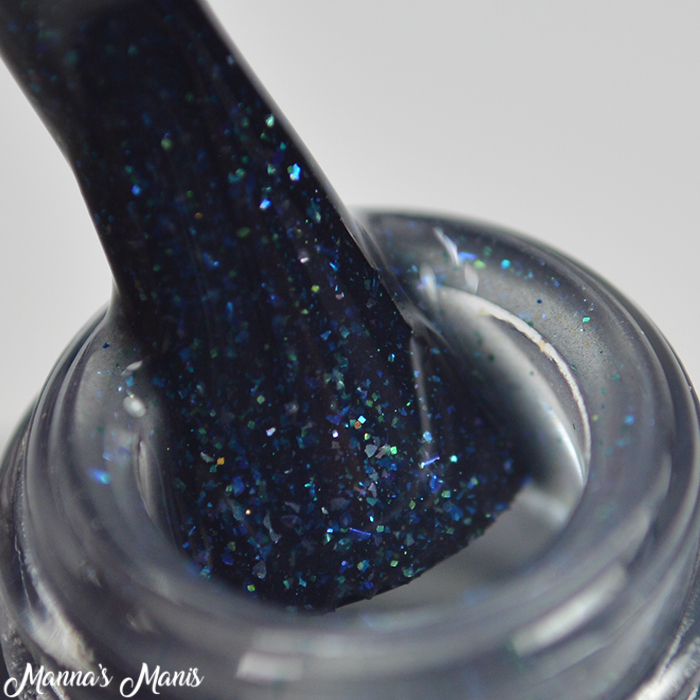 Hope y'all aren't tired of thermals yet, cuz I have some more beauties from MTK Design to share! 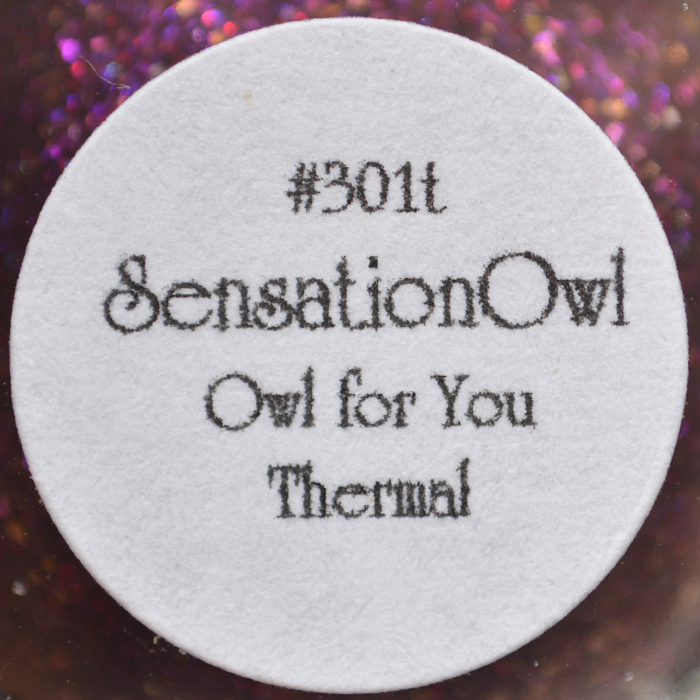 This trio of thermals are inspired by..you guessed it..owls! My mother has been obsessed with owls as long as I can remember, and now that owls are "in" again she's been so thrilled to find owl themed everything lol. On to the swatches! A note before we start. I was sent the protos of these polishes which didn't have all the kinks worked out yet. 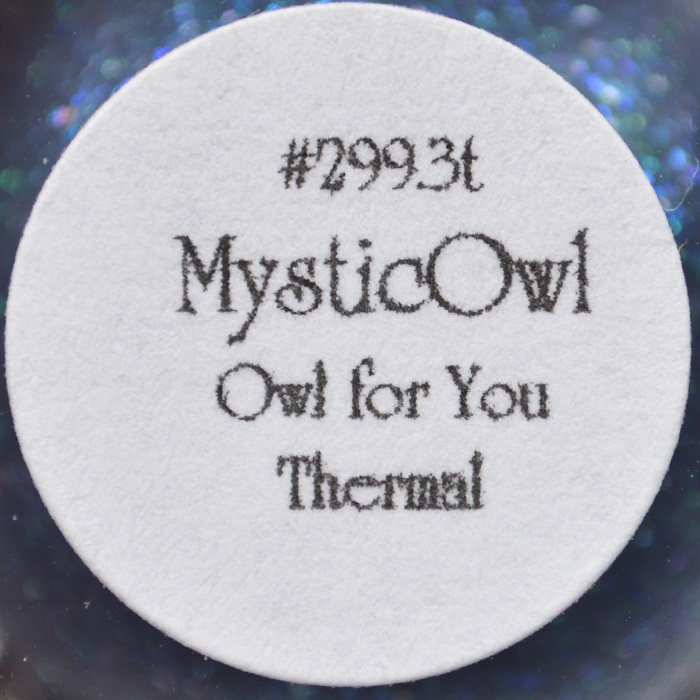 Therefore, there was some unmixed thermal pigment in the polishes. 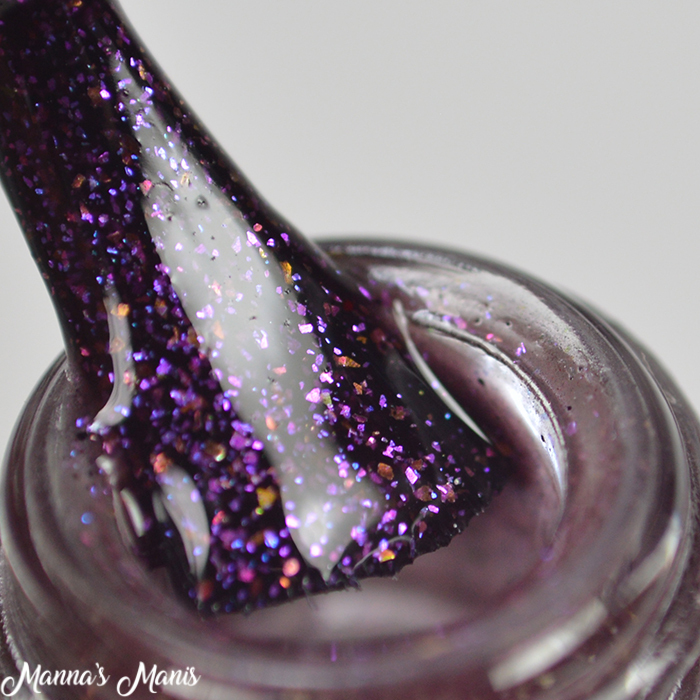 I declined MTK's offer to send reformulated polishes because she would be out more money, so instead I opted to edit out the pigments in the photos. 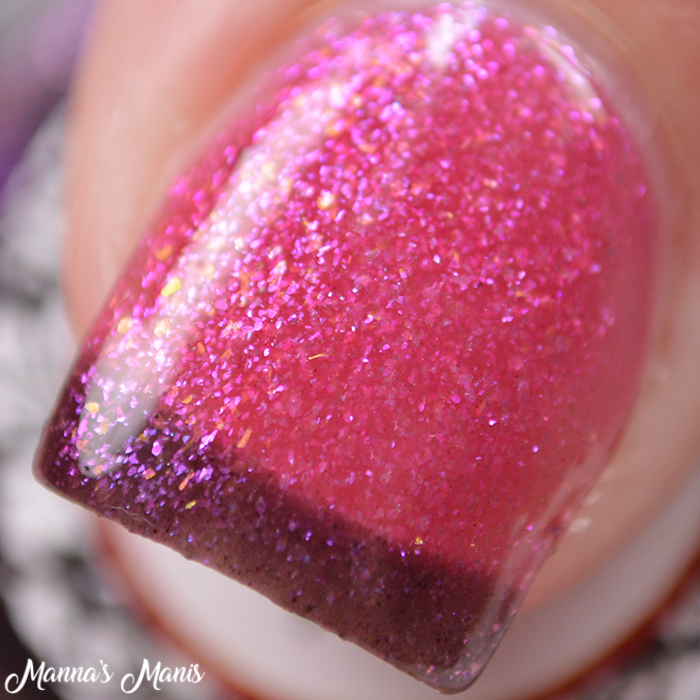 The polishes ARE reformulated and look perfect now though! 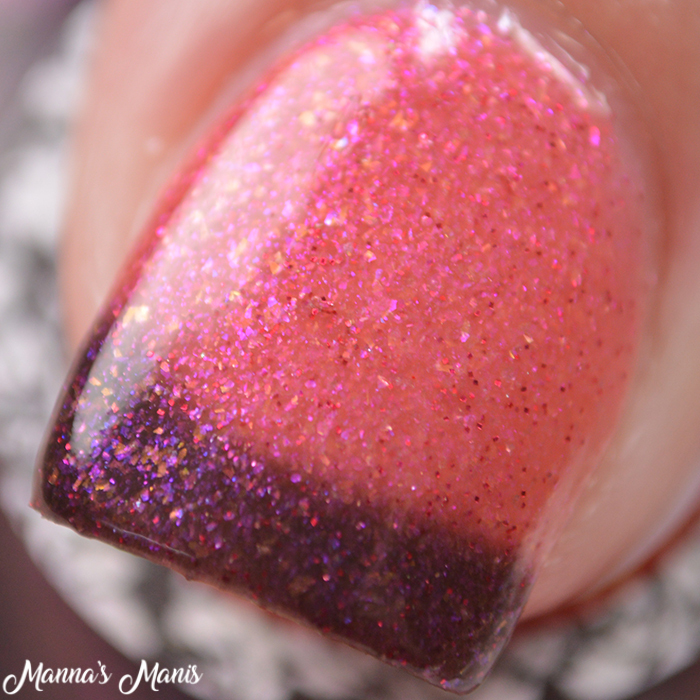 All polishes below are 3 coats and I had no issues with application or thermal transition. All are available now! 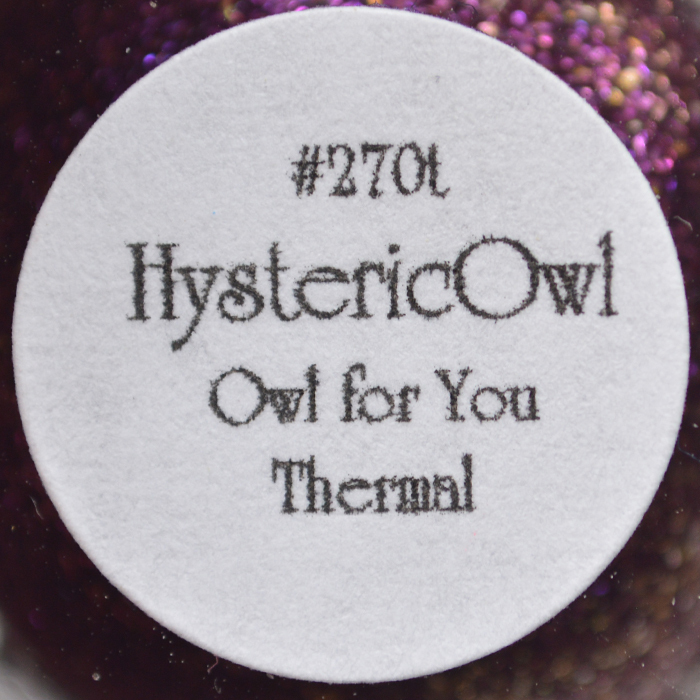 Hysteric Owl A blackened purple base w/ chameleon glitter shifting from purple to red to gold with red and copper shimmers. When in it's cool state it's deep ocean green/blue sparkling and when warm it shifts to a bright aqua. This one also glows in the dark. A dark golden plum when cool, and warms to a bright coral. 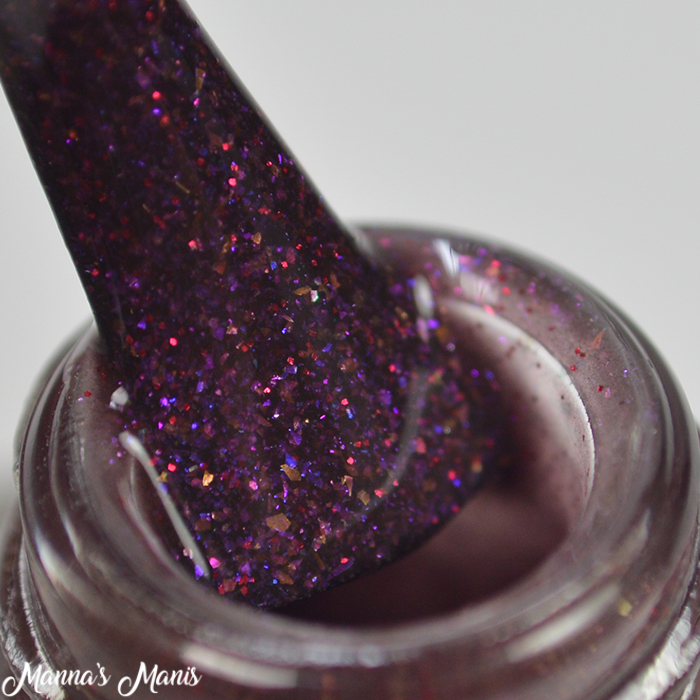 Filled with red scatter holo glitter, copper and violet iridescent shred and purple shimmer.